We love taking selfies, downloading trending videos, latest songs, and movies. But with time and excess data, our machine can run out of memory. That’s the reason, after a while the performance of our system is not the same as it was in the beginning. However, removing duplicate files will not only recover considerable storage space but also enhance the speed of your computer. Fortunately, there are tons of the software available in the market that you can use to do the same. In this post, we’re going to discuss Wise Duplicate Finder to find and delete duplicate files from your machine with ease. It is an incredible tool that helps you find and delete replica files that you have on your machine. The software is capable of comparing the filenames and file size so you never end up deleting your vital files. It’s one of the best ways that automatically helps you to get rid of duplicate files and recover storage space for better use. 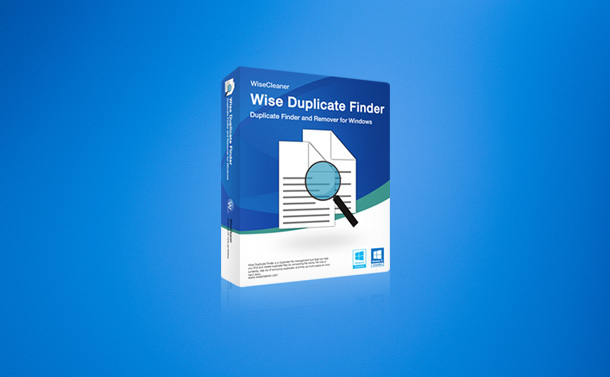 Benefits of Using Wise Duplicate Finder? Whether you’ve duplicate images, songs, videos or movies, Wise Duplicate Finder will help you find and eliminate unwanted duplicates in a few clicks. Deleting duplicate files will not only free up your disk space but also help to speed up your machine. After deleting the redundant and duplicate files from your device, you may notice empty files. The software helps you to find and remove zero size files. Because the manual process of cluttering the zero files might be time-consuming for you. After scanning the files, you will get neatly organized list of duplicate files in different groups with different background colors. The software will give you entire control to eliminate the replica files. You can remove the files one by one using the manual method. However, if you have huge number of duplicates then you can get rid of them by doing the automatic elimination. Wise Duplicate Finder is available in multiple languages such as English, Arabic, Indonesia Catalan, Simplified and Traditional Chinese, Japanese Danish, Dutch, Russian, Finnish, Persian, French, Polish, Serbian, German, Greek, Hebrew, Slovak, Hungarian, Portuguese, Norwegian, Italian and many more. How to Use Wise Duplicate Finder? Step 1: Firstly, launch the software and click on “Locations” that you can locate at the top-left corner of your screen. Choose “Add Folder” and browse for the folder you would like to check for duplicates. Step 2: Beside locations, there is another tab, click on it to choose whether you want to go with exact matches, partial matches or with size and name of the files. Click on “Scan”. Step 3: Once the scan is completed, you will see all the duplicate files are displayed by groups with various background colors. All you need to do is, choose the files that you want to get rid of by hitting “Delete Selected” button. You can select files that you would like to include and exclude from the scan. You can select the maximum and minimum file size to include in the scan. You can restore accidentally deleted files. Available in more than 25 different languages including English and Dutch. Apart from deleting duplicate files, you can also get rid of zero size files from your device. When you scan for exact match duplicate then it takes a lot more time to complete the process. It is not possible to save the scan list for the future references. Overall, Wise Duplicate Finder is a remarkable software that assists you in detecting replica multimedia files, documents, and emails with ease. 8 Reasons Why You Need to Upgrade to Android Pie Right Away!